Cloud computing is a general term for the delivery of hosted services over the internet. Cloud computing services can be public, private, or hybrid. Cloud computing enables users to access a range of cloud services such as cloud storage, file storage, free file sharing, cloud printing etc. We will focus on cloud storage here. What is Public cloud storage? Public cloud services are sold on demand, typically by the minute or hour, though long-term commitments are available for many services.Generally many businesses share the same server, reducing individual cost but limiting data privacy and security. Examples of this are OneDrive, Google Drive and Dropbox. What is Private cloud storage? A private cloud sometimes known as an internal cloud , enterprise cloud ,or a corporate cloud, resides on company’s intranet or hosted data centre where all of your data is protected behind a firewall. Unlike a public cloud, a private cloud is dedicated to a single business or organisation. Our Nextcloud solution is an example of this. The benefits are increased privacy, security and control. A hybrid cloud is a combination of public cloud services and an on-premises private cloud, with some form of orchestration and automation between the two. This is mainly used at an enterprise or multinational level to manage services over many countries, or to deliver zero downtime services. Contact Invicta Linux to learn how a Private Cloud Storage solution could benefit your business. 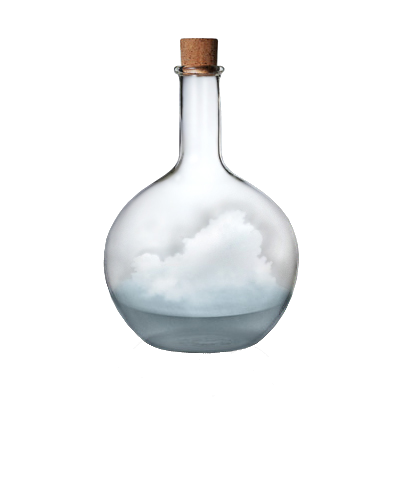 Our preferred private cloud solution. 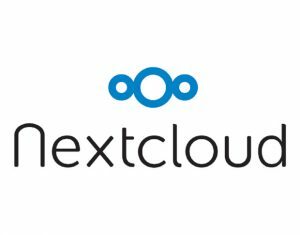 Nextcloud provides private, secure, on-premise box that has all the flexibility of the Cloud, but none of the security drawbacks. Nextcloud is the open source file sync and share software for everyone from individuals to large enterprises and service providers. Nextcloud provides a safe, secure and compliant file sync and share solution on servers you control. With Nextcloud you can share one or more folders on your PC, and sync them with your Nextcloud server. Place files in your local shared directories, and those files are immediately synced to the server, and then to other PCs via the desktop client. Not near a desktop client? No problem, simply log in with the web client and manage your files there. The Android and iOS mobile apps allow you to browse, download and upload photos and videos. Whether using a mobile device, a workstation, or a web client, Nextcloud provides the ability to put the right files in the right hands at the right time on any device in one simple-to-use, secure, private and controlled solution. Consumer cloud-based file sharing services, like Dropbox, store your sensitive company data on servers outside of your control, outside of your policy and regulatory guidelines – maybe even outside your country – and not managed by you. The potential for data leakage, security breaches and harm to your business is enormous. What are the advantages of private cloud storage? The private cloud is generally more cost effective than the public cloud over time when dealing with large amounts of data. When comparing the return on investment associated with a business’ IT infrastructure, the private cloud delivers a vastly improved ROI when compared to the public cloud. The private cloud is more secure. A private cloud provides an improved level of security compared to the public cloud. No other company has access to the servers on which your data is saved and managed. This greatly improves data privacy. The private cloud is more efficient and provides greater control. Private clouds can be hosted either on-site or on at a Data Centre, which is a privately hosted environment. The private cloud allows you far more control over your data and infrastructure, enabling you to make changes as and when they are required. You can monitor application deployment and use advanced analytics to predict and prevent bottlenecks and downtime. Under our Contract Hire scheme we can do this for you. The private cloud is easy to customise. An important feature of private clouds is the level of customization they afford. Every business has its own set of technical and business requirements. The private cloud can be tailored to meet your exact requirements. The flexibility of the private cloud means that it is well adapted to cater to changes in compliance. Whether it be changes to comply with legal requirements, or internal policies, the private cloud is an ideal option because it provides great control over data and the way it is handled, in addition to ensuring data privacy. This improves business agility and mobility. The private cloud ensures greater business continuity. It is more difficult to achieve business continuity if you don’t own or control your infrastructure. There is always the possibility that your public cloud provider may be taken over, change it’s policies or service offerings or it may even go out of business. A private cloud means that you have privacy, control and you can ensure the continuity of your business. To summarise, the private cloud allows you to know what data you have, where your data is and who has access to it.